Affiliate Marketing is the most preferred monetization method used by today’s bloggers mostly because of the handsome commissions it offers. 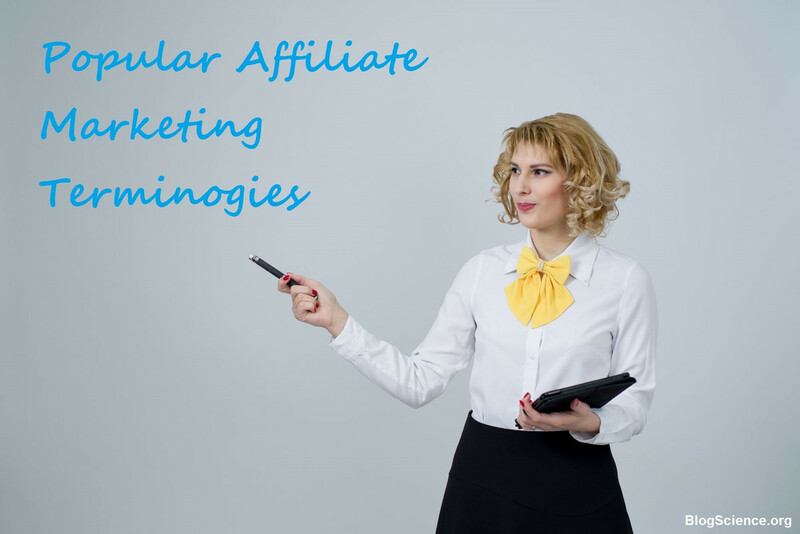 Listed here are some of the Common Affiliate marketing Terminology commonly used. Who is a Merchant and Customer in Affiliate Marketing? The owner or creator or provider of the product or service such as a retailer or brand is referred to as the merchant. The end user who purchases the merchant’s product or service is known as the customer. Any partner who promotes the merchant’s products for a commission through various mediums like websites/blogs/social media etc are called affiliates, then, who is a publisher? An affiliate is also sometimes referred as the publisher. A contract specifying rules, responsibilities and rates/commissions to be paid and other legalities between the merchant and the affiliate which both agree to is called as an affiliate agreement. Affiliate Link is a URL that is the trackable URL that identifies the affiliate as the source of targeted traffic to a merchant’s site/product or service. What is called as a referral? An online marketplace where merchants list their products/services and where affiliates can find them to sell on their medium like their blogs/websites/social media etc. A program set up by merchants to pay commissions when affiliates refer people to their products/services and mostly when a successful sale happens at the merchant’s site. A percentage of the total sale price that is paid to the affiliate by the merchant for referring the customer. Conversion is the final goal of advertising for which advertisers pay to affiliates. Converting visitors into paying customers is the mission of merchants who pay the affiliate marketers. It’s the percentage of clicks that convert into a lead or sale. A website or webpage to which affiliates refer traffic too. When a user clicks on a banner advertising an affiliate product then its redirected to the landing page of the merchant offering the advertised product or service. Marketing focused on a specific well-defined group of consumers this offers better conversion than a general marketing. Attribution is the process of identifying which affiliates are driving conversions. Who is the Advertiser in Affiliate Marketing? The merchant or organization who is selling its products or service is the advertiser. The advertiser pays the affiliate to display its banners on the affiliate website’s page. Offers are created by affiliate managers of the advertising merchant company who decide on the product, the campaign duration, payout model and final marketing prices. Another name for offer is a campaign. The number of visits a website receives in a specific period of time. CRT is Click-Through Rate that is the percentage of clicks for the number of advertising impressions displayed to visitors or bought from other advertising networks. What is the Post-Back URL? This is a server-side conversion tracking URL and used to measure the used for server-side conversions also known as the server-to-server URL. What is a called a Creative in affiliate marketing? Creative is an advertisement, ad or a banner ad etc. If an existing affiliate brings In new affiliates a special payout is awarded to affiliates who brought new affiliates this is generally referred ad referral bonus and can be either a fixed sign-up commission or a percentage of their total earnings for a set period of time. CPA is the cost per action according to which advertisers pay their affiliates for conversions only. CPC is cost-per-click in this payment model the advertisers pay their affiliates for each click their online ads receive.